Hobe Meats was established in 1962. We’ve been supplying high quality service and products, for nearly 60 years. Bret Pont is keeping the traditional old style butcher shoppe alive. 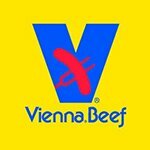 Supplying meat from the mid-west, buying directly from The Greater Omaha Packing Company, that has been around since 1920. 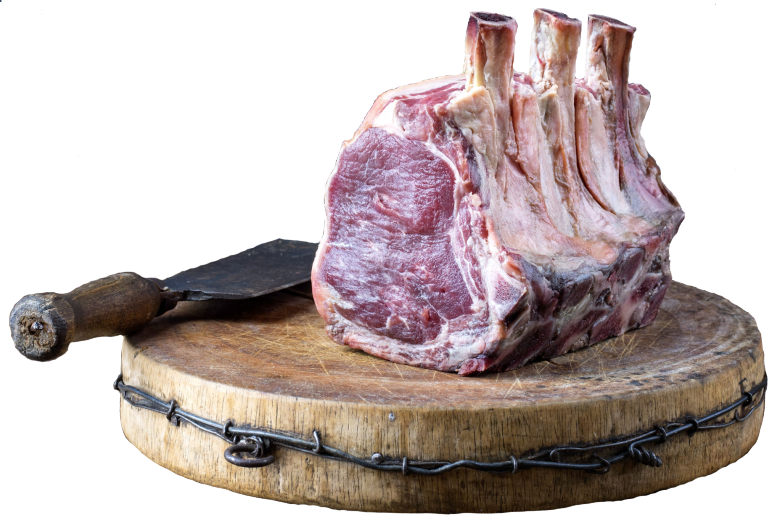 We only sell Prime and Choice grade meats, with a minimum of 30 days aging. All Pork and Chicken is all Natural. There are no Sodium Nitrates added nor solutions. Please stop by and see us for that traditional one on one customer service experience. I can't find my lamb chops anywhere else in town ! Hobe meats is a drive for me , A drive I am more than willing to make! The quality of there meats makes (any ) hardship a pleasure to deal with ! Because you know the value of there products [ at least I do ] ! If you are trying to impress the father in laws or a new person of interest ! It's a guarantee success if you are serving the fine cuts you get from hobe meats!!! -Jun 15, 2017 by Anthony N.
Outstanding customer service with Lindsay up front and the owner Brett. You can't go wrong — excellent local Prime meat full-service butcher. I drive by this place just about every day on my way home and never thought once to stop by and try it. It wasn't until I was with my barber that he went and suggested to me to grab lunch from the Deli, he recommended the burger. Let must just say, WOW, the meat was so delicious and full of flavor, every bite got better and better. I also had the mac and cheese as my side and this was just as good as the burger! I will definitely be back again to try just about everything they have on their Deli menu. The DELI!! WOW!! Nice and clean.. staff very friendly and helpful.. nice selection of top grade prime meats.. they also sell a different varieties of game meats and seafood food.. they have a nice deli great sandwiches and have a BBQ on Saturdays.. handicap friendly.. love the T-bones and Porterhouse steaks.. you got to try this place. Hobe meats reviews new and updated......... please replace the "rave reviews" section also please add a REVIEWS page under the ABOUT TAB Great place! I love how diverse of a selection they had! The cuts all look amazing. Very simple shop but with lots of options! Their deli looked great also and I look forward to trying it out soon. The service was great as well. Everyone is super helpful and friendly. They don't rush you and let you browse without asking you a million times if your ready yet. They were readily available when I had a question. Much nicer experience than I've had with other shops like it. AMAZING EXPERIENCE!!! I had a great experience at Hobe Meats. The 2 behind the counter were both extremely helpful and friendly. I had a ton of questions about smoking and grilling, they recommended some great cuts of meat and a dry rub, that would work best with my equipment and budget. My barbecue was a huge success with a ton of credit going to Hobe Meats. I can't wait to go back! I LOVE HOBE MEATS! I love Hobe Meats! The deli is a wonderful addition. I grew up in upstate New York where there are tons of delis. This has the old school deli feel and flavor. You can't see it but I have a happy face. -Jun 15, 2017 by Sharon D.
AMAZING CUSTOMER SERVICE! Amazing customer service everytime I have been here. Stopped in just now before they closed getting some steaks before the fight and the pair closing were fantastic. Will continue recommending you guys to everyone and always get my steaks here. AMAZING QUALITY!!!! The Quality of the meat here is amazing! My brother lives about a block away from this place and they go in at least once a week! I love having family dinners at their house because I know that we will get to eat meat from here! -Aug 30, 2017 by Shaquita A. HUGE selection! I was visiting my family and looking for a good butcher and It's always tough to find places that excel in these good ole American trades. With a few revised yelp searches I stumbled upon this place. They have a HUGE selection of meats and some specialty GAME in the store. I came to get some beef to make some jerky and they really helped me pick the right kind of Beef cuts. Within a week of travel I was in this store every other day to pick up something fresh to cook. -Sep 04, 2017 by Justin B. QUALITY MEAT! Nothing but quality meat sold here! The entire staff also provides great customer service. They have a newsletter, which includes specials, so be sure to sign up for it online. Also, they are a Belly rewards member center. There is a reason why this great meat shop has been a part of Phoenix for years. -Sep 06, 2017 by MoniQue H.
This is my go-to place when I've got people to BBQ or grill for. Great steaks, beef ribs (most of the time - but you can call ahead and they'll hold some for you) - corn when it's in season (last time I was in, they had a one-ear-of-corn-with-each-steak special - that was an unexpected bonus). The hot dogs are really great, too. But...if you like brats, this is THE place. Especially the jalapeño cheddar brats. wow wow WOW!!! Plus, they have the condiments ready for you (deli/spicy mustard...and if you're ever frustrated at how hard it is to find prepared horseradish - no worries - it's right on the counter above the steaks). Check them out!!! -Sep 11, 2017 by John G.
VERY HELPFUL STAFF!! Excellent quality, attention to every detail, treats you like you are the only one in the shop focusing on answering any questions and offing prep and cooking advice. Feels like talking to a neighbor. Wide selection of products from local to exotic. If you want an excellent steak - SHOP HERE!! !The meat is restaurant quality good! The service is excellent. I live on the FAR west and I drive here to get beef. 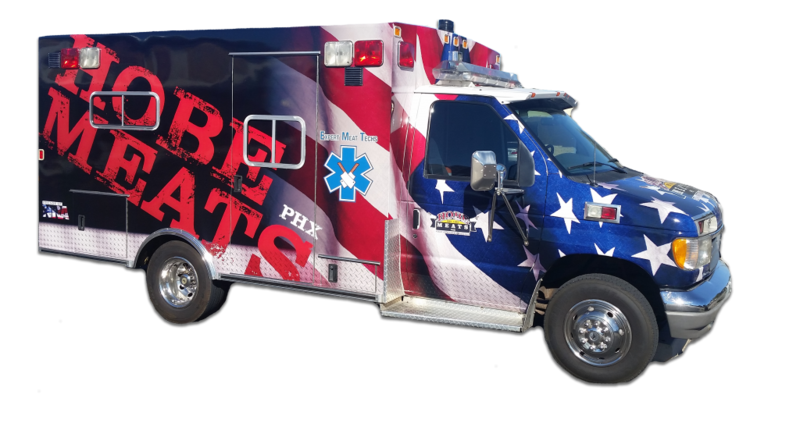 The BEST Butcher in Phoenix! Not Your Average Butcher Shop. Hobe Meats goes far beyond the average butcher shop. We offer an incredible variety of specialty meats that even a master chef would be proud of. Hobe Meats is known for our ability to fulfill special orders. Often times we have a great selection of in-stock items but if we don’t have the specific type of meat you are looking for, let us know. Every Saturday from 11 – 4 pm, Hobe Meats features the best BBQ in town! Stop by and grab a tasty treat! Specials so good you’ll want to run, not walk to Hobe Meats! Be sure to sign up to ensure you never miss a deal! Hungry? Need some cold cuts? Hobe Meats deli can take care of both. 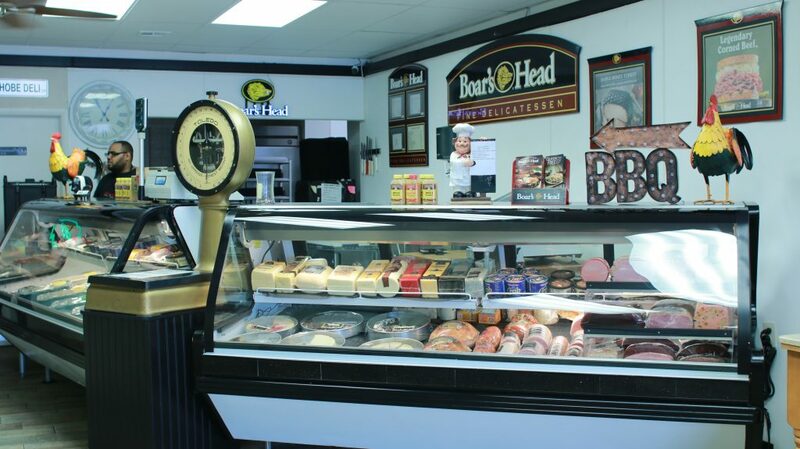 Stop by for lunch and grab some fresh, high quality lunch meats to take home. Don’t Forget About Your Fur Babies! Hobe Meats is known for our high quality raw dog food. While you’re picking up your meats, grab some for fido! 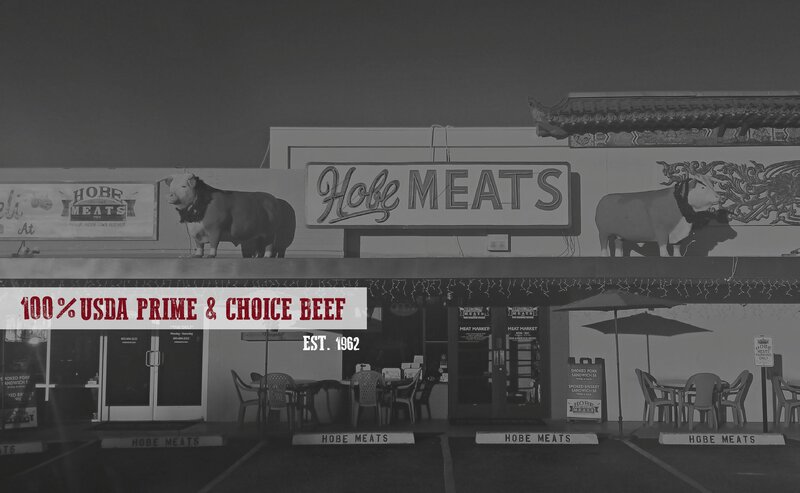 Hobe Meats has been bring the very best meats to the valley since 1962. Owner Bret Pont and his team work hard every day to ensure you get the best products and the best service. 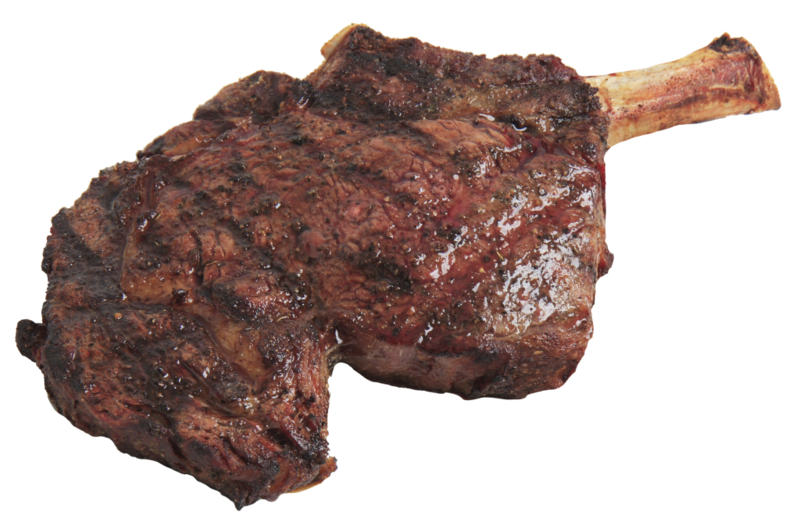 Each month, we send out amazing specials to help our loyal, hardworking customers get the very best meats!